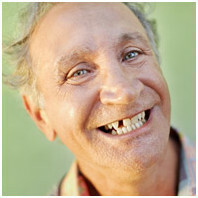 At Brightleaf Dental in Santa Monica we understand that life after tooth loss can be difficult. For many who have lost a tooth due to age, decay or a dental injury, it can be a challenge to eat or speak comfortably, and to smile with confidence. A healthy smile requires the teeth to work together to support the jaw, bite alignment and surrounding tissues. When you come in to see your local dentist in Santa Monica, Dr. Brightleaf will partner with you to find the best solution for your specific needs. If you desire regaining your beautiful smile, give us a call at (310) 395-1810 to ask us about dentures and tooth replacement in Santa Monica. 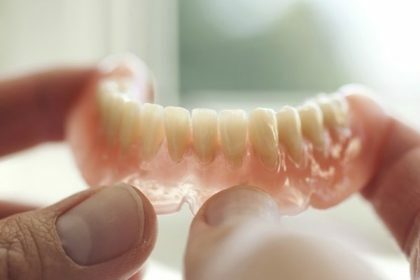 If you do opt for dentures, we will make well-fitting custom dentures and advise you about how to take good care of them while at home. With lower dentures especially, you may need adhesive support to secure them into place. 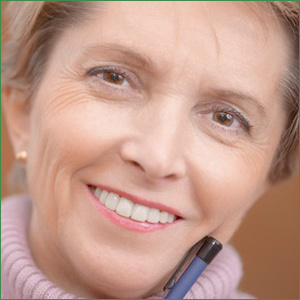 Caring for your denture is relatively simple but may take some time to get used to. For the best transition into a full, beautiful smile with dentures, Dr. Brightleaf and her team are happy to guide you through what you need to know to lead a happy life with your new, full smile!